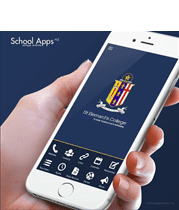 St Bernard’s College does not take early enrolments, all enrolment packs and information are available on and after our Open Day held in May. As the college is full, the Board approved a policy for the enrolment of students. It is critical that applications are received by the enrolment due date. Late enrolments cannot be considered until all of the compliant enrolments have been processed. The college, in its integration agreement with the government, has two categories of enrolment: preference and non-preference. Preference enrolment is given to those students whose parents have established a particular religious connection with the special character of the school. The preference certificate necessary to establish this connection must be signed by a Catholic Priest of the parishes that the College serves or by the appropriate Catholic Priest. A non-preference enrolment may be granted to those who cannot produce such a statement. The College is limited to 5% of its maximum roll for non-preference students. Non-preference places are usually allocated to those parents who want a Catholic education for their sons. Alternatively, contact the office and ask for an enrolment pack. Included in the forms above, is the preference certificate. If you do not have a current preference certificate, you will need to use the Certificate of Preference form or obtain one from your local Parish Priest or Ethnic Chaplain. We will contact non-preference applicants in August to arrange an interview before deciding on acceptance of enrolment. Please click here to find out more about international enrolments.